[Press release] Universal Music Group Nashville, a division of Universal Music Group, has appointed Beverly Keel to Senior Vice President of Media & Artist Relations. The announcement was made today by Luke Lewis, Chairman and CEO of Universal Music Group Nashville, to whom Ms. Keel reports. Based in Nashville, Ms. Keel will be responsible for developing and implementing extensive media campaigns for the company’s chart-topping roster of artists, who include Sugarland, Jamey Johnson, Billy Currington, Lee Ann Womack, Julianne Hough, George Strait, Gary Allan, Randy Rogers Band, Easton Corbin and Laura Bell Bundy, among many others. Ms. Keel is an award-winning music journalist and pop culture commentator who has covered the music industry for two decades. She is a professor in the Department of Recording Industry at Middle Tennessee State University, where she serves as director of the John Seigenthaler Chair of Excellence in First Amendment Studies. Ms. Keel will continue her affiliation with the university. She is also the president of the International Association for the Study of Popular Music-US. Ms. Keel spent a decade as the Nashville correspondent for People Magazine and served as the celebrity columnist at the Tennessean newspaper for two years, during which time she won the Charlie Lamb Award for Excellence in Country Music Journalism. 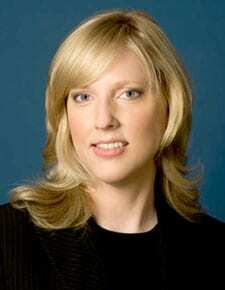 She was also an entertainment editor of American Profile magazine and served as editor of CMT Life. Her work has appeared in InStyle, New York, Oxford American, Weekly Standard, Rolling Stone, USA Today, Country Music, New Country, Country Music Today and MusicRow magazines. A former music industry columnist for the Nashville Scene and Nashville Banner newspapers, her journalism has received awards from the Associated Press and the Association of American Newsweeklies. Keel is also a commentator on country music personalities and events and has been featured on ABC’s “Six Degrees of Martina McBride,” CBS’ “48 Hours Mystery,” as well as numerous shows on VH-1, Bravo, CMT, GAC and other networks. A Nashville native, she earned her bachelor’s degree from Middle Tennessee State University and her master’s degree from the Columbia University Graduate School of Journalism.